This is so good, y’all! It only has 4 ingredients and it feels like magic when it all comes together. It’s like a lighter custard. 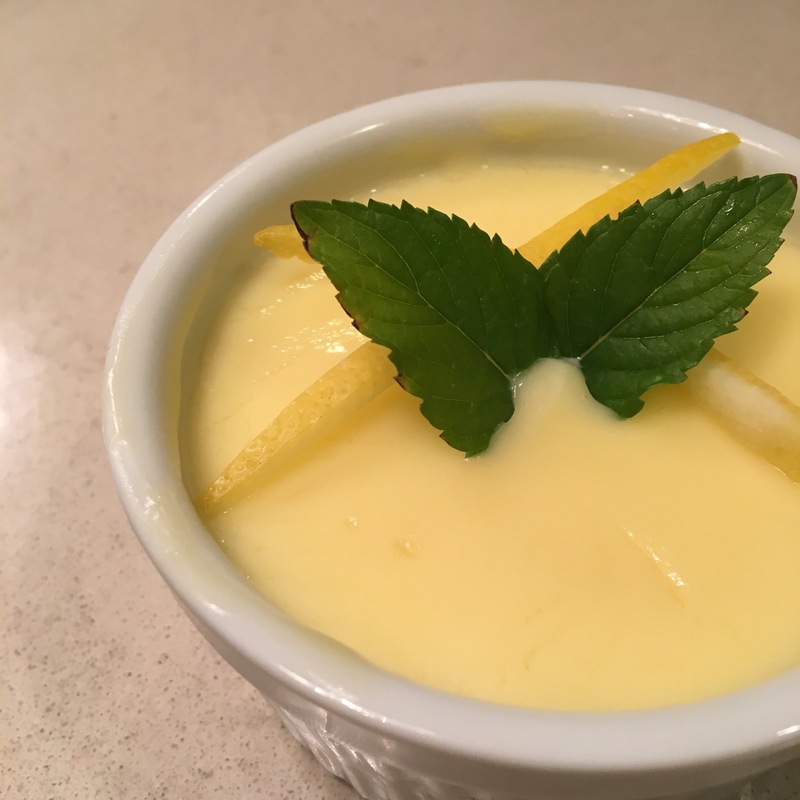 I love the light lemony flavor, especially when garnished with fresh mint and lemon zest! Start by heating together the cream and sugar in a saucepan until boiling. Allow to boil for about 5 minutes or until thickened. Remove from heat and stir in the lemon juice and vanilla extract. Let sit for 15 minutes and transfer to individual ramekins- I split it between 4. Refrigerate for 3 hours or until fully set.